This site was created in June 2007 for ME patients, carers and advocates and provided information, resources and commentary on the political issues affecting the lives of UK Myalgic encephalomyelitis (ME) patients. 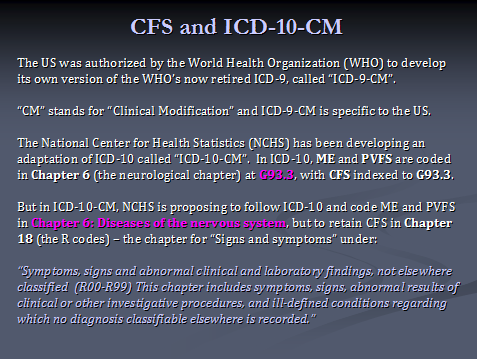 In 2009, my primary advocacy focus shifted towards monitoring the development of DSM-5* (published May 2013) and ICD-11 (currently scheduled for presentation to the World Health Assembly in May 2018). In 2010, I created Dx Revision Watch (originally DSM-5 and ICD-11 Watch) specifically for monitoring the development of these two classification systems. ME agenda site will remain online for its post archives (Post Index to approximately 980 posts) and for occasional, important information relating specifically to ICD-11, DSM-5 and ICD-10-CM. 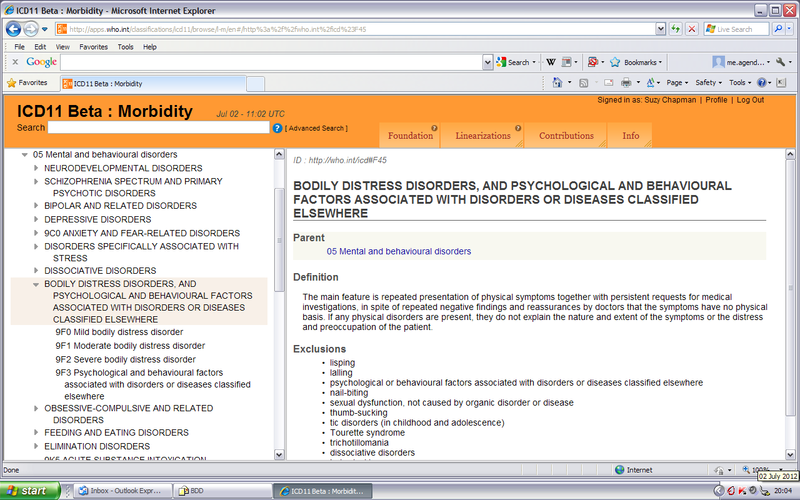 http://suzychapman.wordpress.com/ status: extension site for Dx Revision Watch for occasional, selected material. Twenty-six soldiers of lead status: extension site to ME agenda for occasional, selected material. Read ME UK Events status: archived. Read ME UK Events was created in March 2008 in response to the considerable concerns surrounding the April 2008 Royal Society of Medicine conference on “Chronic Fatigue Syndrome” and to promote the various protests that were staged. 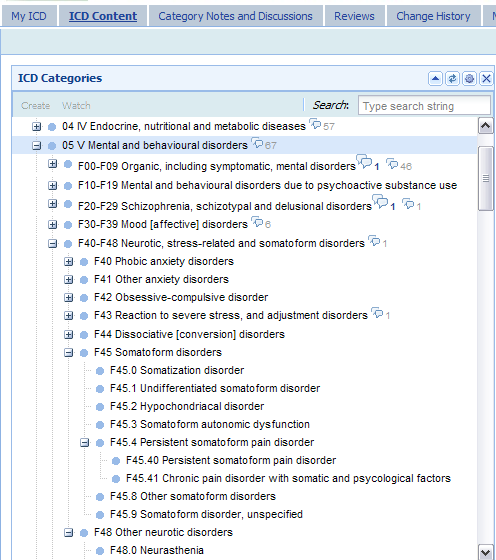 This report updates on recent changes to the Somatoform Disorders section of the ICD-11 Beta drafting platform. When is the third and final public review of proposals for DSM-5 expected? No firm date as yet. The DSM-5 Timeline still has a third and final review listed for January-February, for a two month long stakeholder review and comment period . The APA has announced that its field trials are running behind schedule and some trials won’t now be completed until March, this year. The third and final draft is now expected to be released for public review and comment, “no later than May 2012″, according to DSM-5 Task Force Vice-chair, Darrel Regier, MD . I will update as more information becomes available about the posting of the third and final draft. 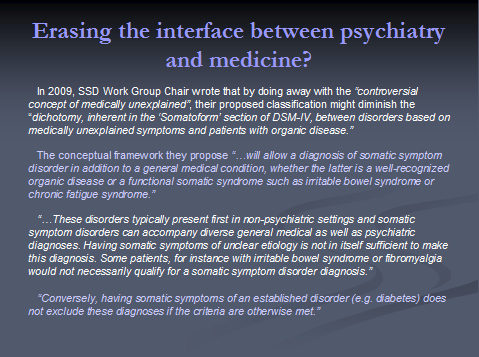 DSM-5 proposals with the most relevance for us are the proposals of the “Somatic Symptom Disorders” Work Group for the revision of existing DSM-IV “Somatoform Disorders” categories. The SSD Work Group’s current proposals can be found on the DSM-5 Development website . An Open Letter and Petition sponsored by an ad hoc committee of the Society for Humanistic Psychology (Division 32 of the American Psychological Association), in alliance with several other American Psychological Association Divisions, has attracted nearly 11,000 signatures with 40 mental health professional bodies and mental health organizations publicly endorsing the Open Letter . The “Coalition for DSM-5 Reform” committee is calling on the American Psychiatric Association to submit its draft proposals for new categories and criteria for DSM-5 to independent scientific review. Please note that the Society for Humanistic Psychology iPetition is for signing by mental health professionals and allied mental health professionals; it is not intended for signing by patients. The issuing of legal threats on behalf of the American Psychiatric Association, just before Christmas, has generated considerable interest and outrage amongst blogging mental health professionals . On June 16, the American Psychiatric Association (APA) announced an extension to its second public stakeholder review of draft proposals for categories and criteria for the next edition of the Diagnostic and Statistical Manual of Mental Disorders, which will be known as “DSM-5”. The closing date for submissions is now Friday, July 15. There are just three more days left in which to submit letters of concern in response to the potentially damaging proposals being put forward by the Work Group for “Somatic Symptom Disorders” – the DSM-5 committee charged with the revision of existing DSM-IV “Somatoform Disorders” categories. If you haven’t already submitted a comment, please do, however brief. You’ll find information on making submissions in this post: http://tinyurl.com/DSM-5-register-to-comment. Proposed criteria and two key documents are posted here: http://wp.me/pKrrB-13z. These include letters of concern from international patient organizations, professional stakeholders, patients, patient advocates and professional bodies. If you have already submitted but have other points to make, please submit a second response. If you know an informed professional please alert them today to the implications for patients with ME, CFS, IBS, FM, CI, CS, Gulf War illness and other illnesses that are bundled under the “Functional Somatic Syndromes” and “Medically Unexplained” umbrellas. If the Work Group’s current proposals are approved, these illnesses will be sitting ducks for an additional “bolt-on” mental health diagnosis of a “Somatic Symptom Disorder”. If you haven’t yet registered your concerns, please get a letter in before the feedback period closes on July 15!